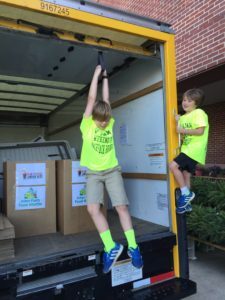 In August of 2017, the Food Drive Kids provided the materials and volunteers and worked with The Interfaith Food Shuttle to build a garden at Fuller Elementary School in Raleigh, NC. Many of the students there live in an aread with limited access to fresh fruits and vegetables. Student clubs and classes will work together to grow produce that will help these kids have fresh produce on the weekends when they cannot rely on being fed at school. 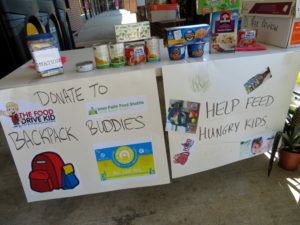 This is an example of working with the community to build sustainable hunger relief provided by kids for kids. In order to begin working towards ways to help provide sustainable hunger relief. 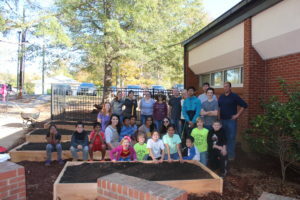 The Food Drive Kids partnered with The Interfaith Food Shuttle and their Head of Urban Agriculture to put into place a garden that would allow students to provide food for their peers. 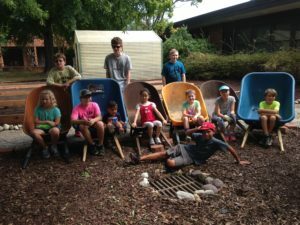 They raised over $2,000 and rounded up a couple dozen volunteers and build a garden a Ligon Middle School in Raleigh, NC. 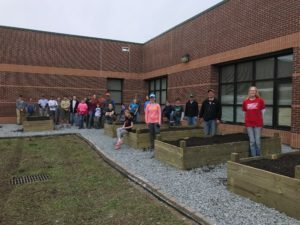 The goal of this garden was to provide a school with a student population consisting of many kids that do not have access to fresh fruits and vegetables on a regular basis. The garden would be run, managed, and maintained by classes at the school, and the produce would be shared with students in the neighborhood that were at risk of hunger through their Backpack Buddies Program.